The Center for Space Commerce & Finance (CSCF), in collaboration with the National Space Society and the Heinlein Prize Trust, will sponsor a “shark tank” style startup business competition, as part of a series of regional events leading up to the 2017 NewSpace Business Plan Competition. 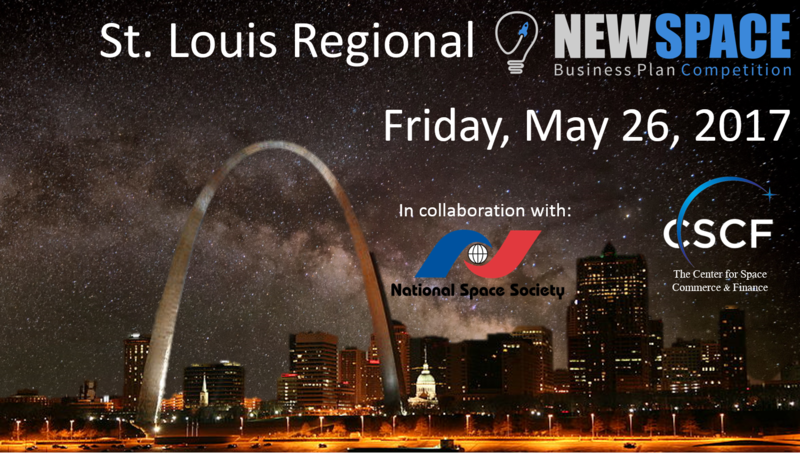 The St. Louis NewSpace Business Plan Competition will be held in conjunction with this year’s International Space Development Conference (ISDC), a premier Space conference which is a nexus for industry, government, scientists, advocates, and the public. The competition will be held on May 26th, at the St. Louis Union Station Hotel during the Business Track of the ISDC. Each business will have a total of 15 minutes to present their business pitch and answer questions before a panel of judges.